Analogical tape measure. Fibreglass, non stretching. Metric and Imperial on the one side for easy comparison. 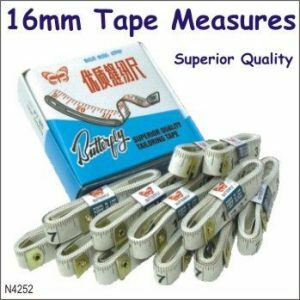 Adhesive tape measure suitable for any workbench. 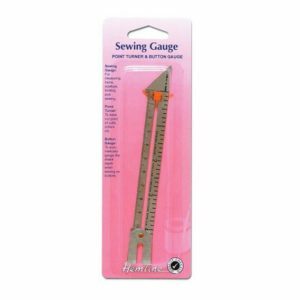 Sewing Gauge. 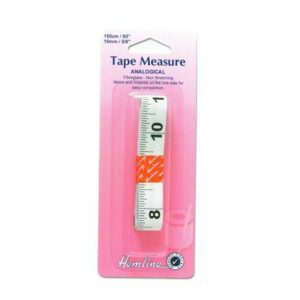 Use to accurately measure hems, pleats, buttonholes, etc. 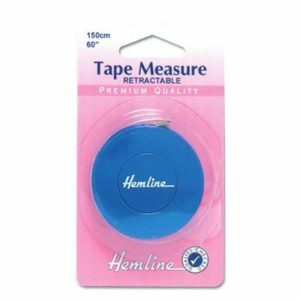 Ideal for sewing and knitting projects. Incorporates Point Turner and Button Gauge. 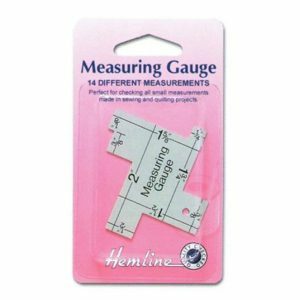 Measuring Gauge. 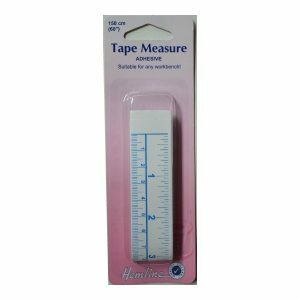 Perfect for checking all small measurements in sewing and quilting projects. 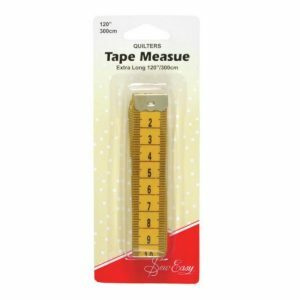 Analogical tape measure. Fibreglass, non stretching. Metric on one side and imperial on the other side for easy comparison.